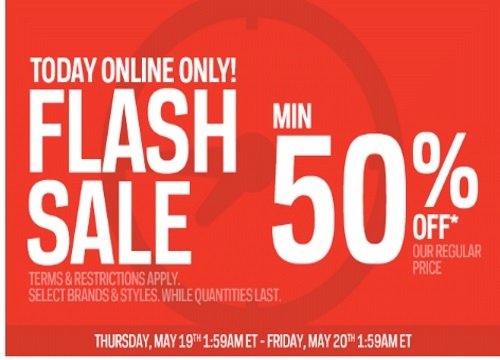 Sportchek is offering a Flash Sale today only! Save a minimum of 50% off the regular price of select brands and styles! Offers are while quantities last. Sale is on Thursday, May 19-Friday, May 20 at 1:59am ET. Free shipping applies on all orders as well! Click here to shop Sportchek.